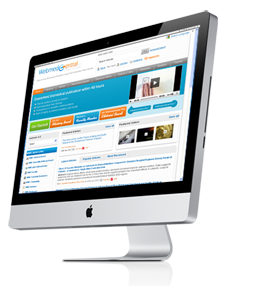 WebmedCentral plus is the venture from WebmedCentral team. It will publish articles only after peer review. Our twin portals cater to all scientists. Those who prefer the freedom of expression and ability to get their research out quickly without any prior peer review would be able to use WebmedCentral as before and those who value publication in an environment of pre publication peer review may wish to publish their articles on WebmedCentral plus. We also envisage same scientists using different model for different articles. George Perry is dean of the College of Sciences and professor of biology at The University of Texas at San Antonio. Perry is recognized in the field of Alzheimer's disease research particularly for his work on oxidative stress. Perry received his bachelors of arts degree in zoology with high honors from University of California, Santa Barbara. Abstract: Bariatric surgery has emerged as an effective treatment for long-term weight loss and associated co-morbidities of obesity. However, not every patient who is interested in bariatric surgery is an optimal candidate. Pre-surgical psychological evaluations attempt to identify patients at risk for sub-optimal outcomes foll..
An Uncommon Case Of Burkitts Lymphoma Causing Ileo-cecal Intussusception In A Child. Abstract: Burkitt’s Lymphoma (BL) is an uncommon type of Non-Hodgkin’s Lymphoma. It is mainly seen in children in African and Algerian region. In India it is a rare disease. It mainly affects B lymphocytes. The commonly involved sites are either jaw or abdomen in Indian scenario. BL affecting the ileo-cecal junction is again..
Abstract: Background – Deinococcus radiodurans is one of the fiercest radioresistant organisms, exhibiting sophisticate mechanisms for both proteome radiation protection and DNA repair responsible for its extremophilic character. It would be a quite important task the challenging of D. radiodurans formidable viability performa..
Abstract: Background: Hox gene collinearity is a universal phenomenon most emphatically observed during the development of vertebrate embryos. The last decade or so, a series of genetic engineering experiments have been performed including Hox gene deletions, duplications or transpositions. These experiments are illuminating and..
Abstract: Acute Intestinal obstruction is one of the commonest surgical emergencies encountered. Various causes are responsible for this of which post operative adhesions are most common. Congenital bands form one of the rarer causes. In a previously operated patient for exploratory laparotomy congenital bands are rare to find a..
Abstract: The United States Healthy People 2020 report has outlined objectives to increase the percentage of adults who receive sufficient sleep from the 2008 baseline level of 69.6% to 70.9% by 2020. The purpose of this review was to provide public health professionals with an overview of sleep science, the impact of sleep rest..
Abstract: Background: The extraordinary ability of Deinococcus radiodurans to withstand lethal radiation effects has been verified with gammas but not with electron. Results show that electrons are able to severely damage plasmid DNA, shattering it into myriads of fragments, thus motivating the performing of D. radiodurans irrad..
Abstract: Natural products from medicinal and aromatic plants (MAPs) have lesser harmful effects on human systems. Hence, their specific utility is in chronic and acute diseases. With an increasing usage of herbal preparations internationally, any attempt by academics on MAPs is an effort towards meeting the global demand and a ..
Abstract: Background. Analysis of large datasets produced by mass spectrometry-based proteomics relies on database search algorithms to sequence peptides and identify proteins. Several such scoring methods are available, each based on different statistical foundations and thereby not producing identical results. Here, the aim is..
Introduction: Despite many advances in assisted reproductive technologies,implantation rates are still low after controlled ovarian hyperstimulation and IVF(1). Implantation failure is thought to result from impairment of embryonic development and/or from abnormal uterine receptivity. The endometrium is receptive to blastocyst impla.. Receive periodic news and updates relating to WMC plus.